Welcome to No Limits Sports and Fitness Academy! No Limits Sports and Fitness Academy is the only Full Service Sports Training facility located in SIGNAL HILL, CA. Our space is 15,700 sq. and we have a full weight room with free weights, 2000 sq. of running area, stack loaded machines, cardio equipment, kettlebells, ropes, medicine balls, bench presses, Olympic platforms and more. 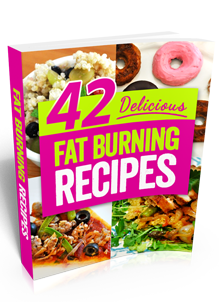 Do you need help eating better, losing weight, performing better in sports or trying out for your first competition? No Limits Sports and Fitness Academy offers several services including Personal Training, Group Training, Crossfit, Spinning, Boot Camp, Bikini and Figure Competition Training, Running Programs, Chiropractic, Massage, Acupuncture, Physical Rehabilitation, Oriental Medicine, and an Orthopedic on Staff. Our main goal is providing you the ultimate training, wellness programs and fitness education. We are dedicated to make No Limits Sports and Fitness Academy a special, unique, comfortable, and non-intimidating and a fun environment. Grab your gear, it’s time you enjoy the best training in Signal Hill. Alisha Lopez has been a competitive athlete in soccer, cross country, track and field, and cycling. She has helped both adults and kids in the health and sports industry for over 17 years. 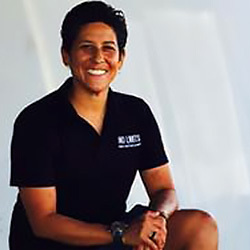 Alisha is a nationally certified Personal Trainer and has received additional training and certifications in Spinning,Yoga, Resist-a-Ball, Mat Pilates, Pilates, Bosu Training, Power Flex, Kettlebell Training and she’s a USA Cycling Coach. She regularly attends continuing education workshops across the country.